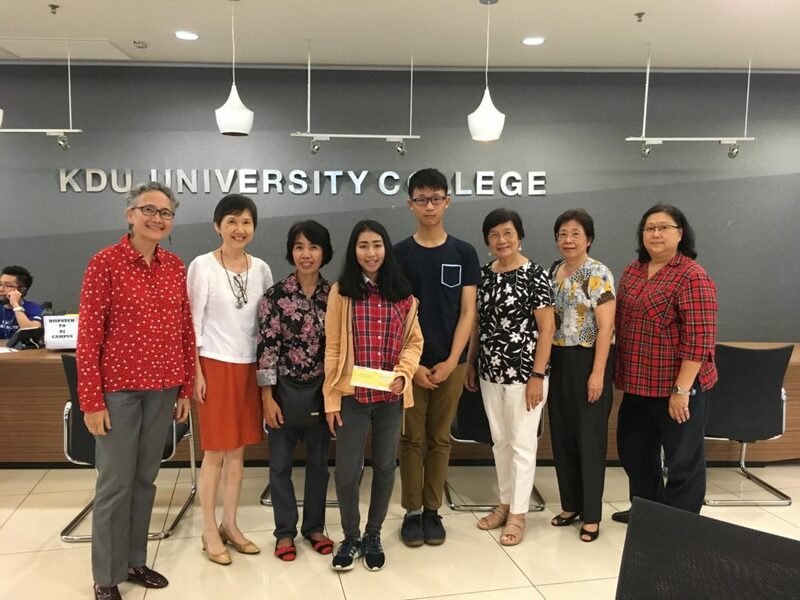 5TH ECEF SCHOLAR FOR 2018The Elena Cooke Education Find has granted a scholarship to a 5th student (after the 4 who were granted scholarships earlier in May and July this year) – Tang Pui Teng. She has been accepted into the Universiti Malaysia Pahang to study for a degree in Industrial Biotechnology. 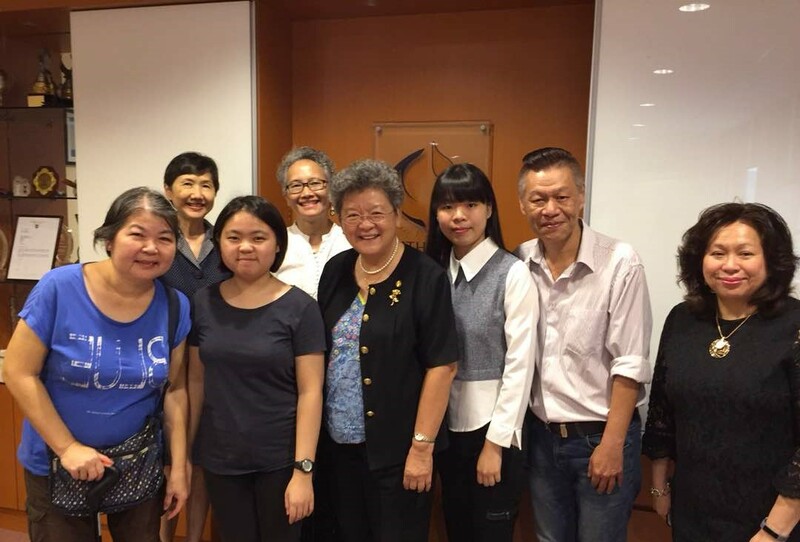 Her course starts in September.Pui Teng’s parents divorced when she was only 6 years old, so her mum, with only Form 5 education, has had to raise her and her 2 older brother and sister all by herself. She now works as a cashier. 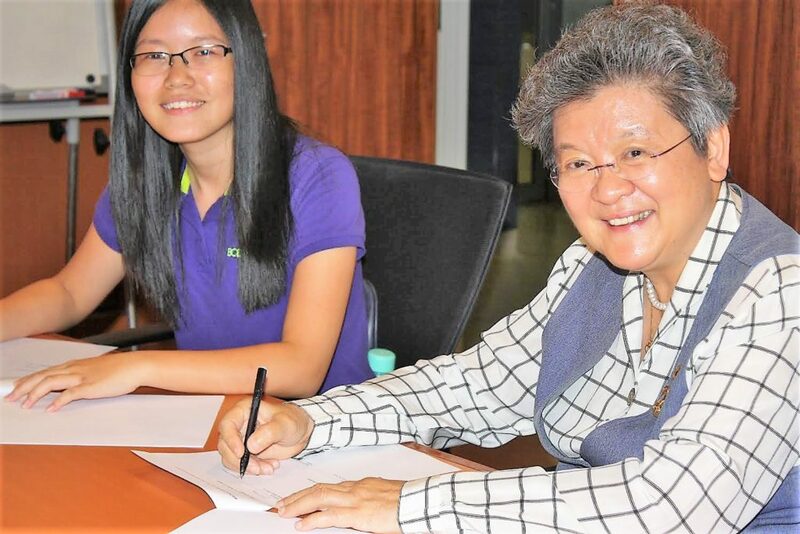 Pui Teng studied hard and has performed reasonably well in her exams, being the only one of the 3 siblings to enter university.Here are photos taken when Pui Teng signed the scholarship agreement recently. ECEF scholar Tang Pui Teng is pursuing a degree in Industrial Biotechnology at the Universiti Malaysia Pahang. After her course started in September 2018, she has found university life to be far from easy, often having to sacrifice her sleeping time to rush for all the assignments, but, she says, she is getting used to it already. She has also made many new friends. The attached photos show Pui Teng being involved in various activities which are part of the curriculum. She had to attend a “Briged Siswa” camp – 2 days 1 night at Kem Akademi Azam at Kuantan, where they had multiple activities. Then there was a “Program Jalinan Ukhuwah Bersama Orang Asli” held at the Kampung Orang Asli Batu 14, Gambang. Basically, what the students did was to interact with the Orang Asli by playing games with the kids, cooking lunch for them, as well as helping them to clean the surroundings by weeding and picking up litter. The students also participated in a “Petron Race”, an event organized by Petron in UMP. It consisted of 4 station games where marks were given in each station. All of the station games were related to knowledge of cars or Petron itself. 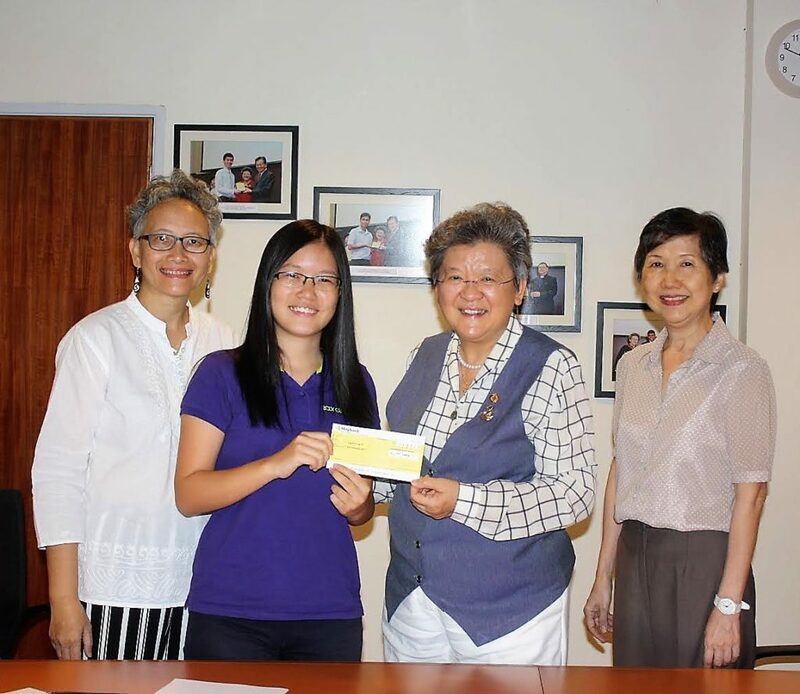 ECEF recently signed scholarship agreements with 2 girls for their studies in Sunway College. Nicole Chin, from Segamat, Johor, will be pursuing a Diploma in IT Information, whilst Tow Jia Li, from Puchong, will be pursuing a Diploma in Accounting. Nicole lost her mum when she was only 3, after which she and her sister were cared for by their grannie while her father worked as a hawker in a food court, selling “Ikan Bakar”. Before her PT3 exams, her grannie passed away, and life then became harder for Nicole, but she persevered and did well in her studies, becoming one of the top students in her school with 10As in her SPM. Jia Li is an only child. Her dad retired 10 years ago and her mum had to stop work in 2017 as a senior clerk due to severe arthritis and diabetes. The family at present has no income, depending only on her mum’s EPF. Jia Li was a good student, scoring 9As in her SPM. She hopes to become a professional accountant one day. Here is a photo taken at the signing of the scholarship agreements. After the SPM results were released in March this year, the Elena Cooke Education Fund invited applications for scholarships. By the closing date, we had received applications from 126 students. As usual, our minimum criteria were that each applicant must be a Malaysian, must have scored at least 3As in the SPM and the maximum household income is RM42,000 a year (RM3,500 a month).The Selection Committee, comprising 12 ex-BBGS girls, painstakingly perused and evaluated all the applications and did a magnificent job to shortlist 21 candidates for interview. This year, the parents of applicants included taxi drivers and lorry drivers, one was a mechanic, another, a fruit seller, and yet another, a hawker. There were single parents, parents who had serious illnesses, parents who were jobless, and there were some broken families.The interviews have been completed. However, as at today, not all the scholarships have been awarded as there are some applicants who are still awaiting the results of their applications to the Government universities. The scholarships that we have awarded so far are to 1 student to study in KDU University College, 1 to study in Tunku Abdul Rahman University College and 2 to study in Sunway College.We recently signed the scholarship agreements with 2 students. We wish our students all the best in their respective courses. Jienah lives in Taiping with her mother and 2 siblings. Her father, a machine operator, passed away in 2016. Her mother is a Filipina (a permanent resident) who now cleans a church in Taiping. Jienah has been given an Elena Cooke Education Fund scholarship to study for a Diploma in Communication & Media at KDU University College. This scholarship is structured in collaboration with KDU – KDU waives the tuition fees and some other general fees while ECEF gives allowances for living expenses, accommodation and book purchases. En Han, from Batu Caves, is the youngest in the family and has 3 older sisters. His father suffered a stroke in 2014 and has been unable to work since then. The family now survives on his SOCSO payments and some contributions from 2 of En Han’s sisters who are employed. Eh Han scored 8As in the SPM and has gained entry into Tunku Abdul Rahman University College (Setapak campus) to study for a Diploma in Business Studies (Accounting) – his end objective being to become an accountant with a ACCA qualification.